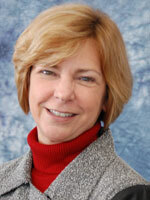 This is a guest post by Laurel Nelson-Rowe, ASQ managing director. The Quality Community is one that — to a person, or across a global enterprise — delves into data, feasts on facts, trounces on trends, and puts lazer beam focus on benchmarks. All that and more occurred with the release of the ASQ Global State of Quality Research in 2013. The series of quantitative and qualitative reports, the panel discussions around the world, the media reports, download after download of the data, information graphics — it all seemed to add up to success and impact for the work, its sponsors and stakeholders. Previous View from the Q’s by now-retired ASQ CEO Paul Borawski highlighted the importance and scope of the inaugural research; ASQ Influential Voices picked up some of its data points and themes as well. After all, where else can you compare quality organization structures, governance, training, industry standards, pay scales and incentives, measurement system models from 22 countries? Those topics were just a few highlighted in numbers, graphs and case studies. Well, that was then. This is now. 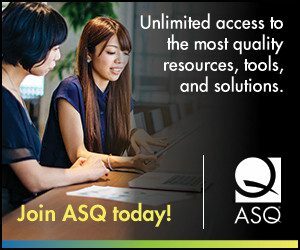 And ASQ and our Global State research partner, APQC, need your very active engagement to get the word out and get response rates up from companies and institutions around the world in the ASQ Global State of Quality 2 survey. The link is www.apqc.org/ASQ_GSQ_Survey_2. Additional information on the research can be found at globalstateofquality.org, where the qualitative and quantitative data will be available following data collection. The call-to-action is clear. It’s up to you to shape the Global State — and check back here for some early returns on the data in the weeks and months to come. It’s so nice to your site , I learn a lot , thank you very much . I have reviewed the first page of the survey and realize that I am unable to complete the items, as I am retired and no longer have company or business affiliation. (It was my pleasure to participate in several of the ASQ “Future Surveys.”) I do, however, have an interest in creating a greater (wider-spread) awareness of the quality profession. It is interesting that in conversations with lay persons, almost to the person, they have never heard of ASQ (or other quality organizations). When told how large ASQ is, especially in terms of number of members, they themselves are amazed. I believe we can do a great deal to forward the recognition of quality as a profession. It has been some time now that I have prepared a power point presentation with the title of: “Be a Qualitist” and have used it at some quality related meetings (mostly section meetings), but also as key-note speaker at “The 18th International Conference on Industry, Engineering, and Management Systems, IEMS, Cocoa Beach, Florida, March 26, 2012. Just as the terms, “Chemistry and Chemist” describe a profession and a professional, we could promote the terms, “Quality (Qualitry?) and Qualitist” in the same manner. Please note my email address. I have proposed to both the Webster’s Dictionary and the Oxford English Dictionary (OED) the possible coining of the term “Qualitist” and they have both responded positively with information that their criteria for placing new words in their dictionaries is based on wide-spread use – something we could promote. Quality has been slow to make its mark as a subject of formal education and I have had the opportunity to contribute to this with respect to my role as a professor at Southern Polytechnic State University (Georgia), IET Department, over the period of 1993-09 to 2001-05 during which we established an MSQA program and taught a wide range of quality subjects. This was followed by affiliation as an adjunct professor at the University of South Florida, 2001-05 to date. If this idea is of interest to ASQ, I’d be pleased to continue the dialogue, including sharing the power point file referenced earlier, etc.